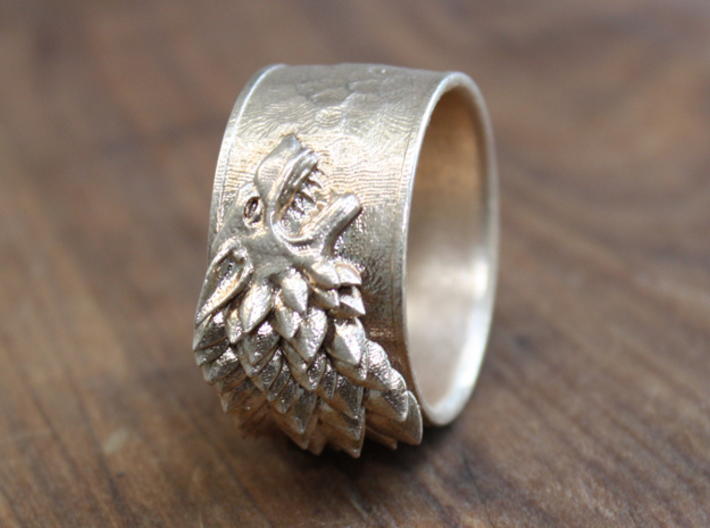 This ring was loosely inspired by the Game of Thrones series. 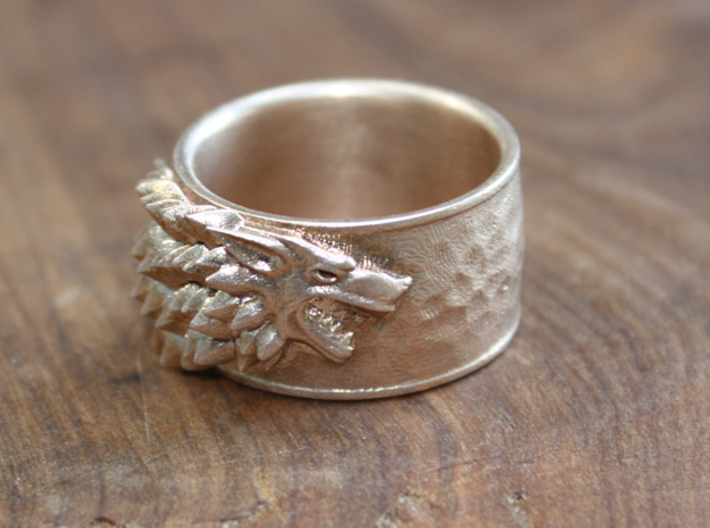 This is my interpretation of the House of Stark emblem. 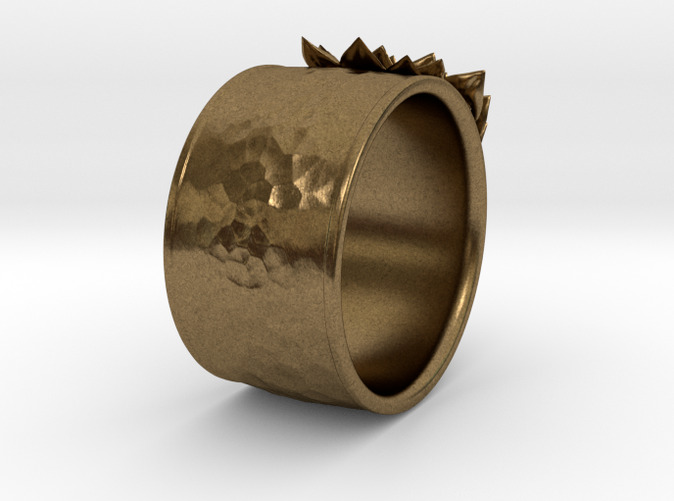 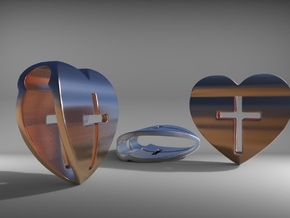 The picture shown was successfully 3D printed in Raw Bronze but can also be bought in Raw Brass. 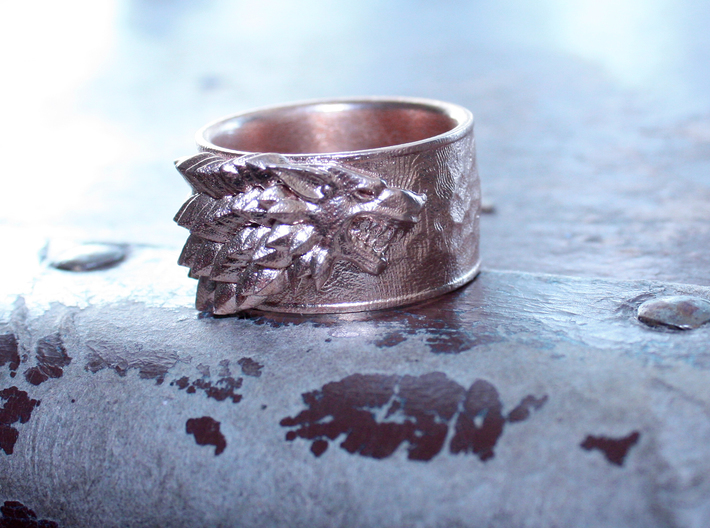 The ring has a nice weight to it and is comfortable to wear.